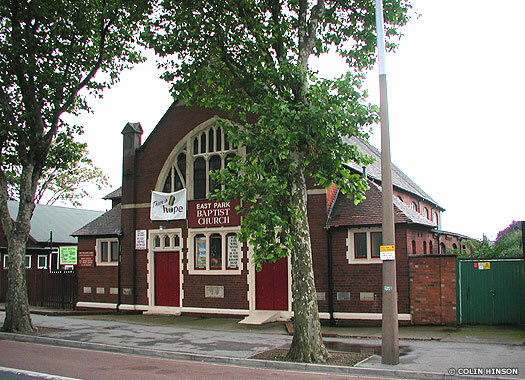 East Park Baptist Church occupies a plot on the southern side of Holderness Road, midway between Southcoates Avenue and Lodge Street in the Summergang district to the east of central Hull. Its date of foundation is not known. Elsewhere on the long Holderness Road there was also Hedon Road Seamen's Bethel, registered by the Mariners' Friend Society in 1895-1903, when it was replaced by Holderness Road Seamen's Bethel (1903 to at least 1939). 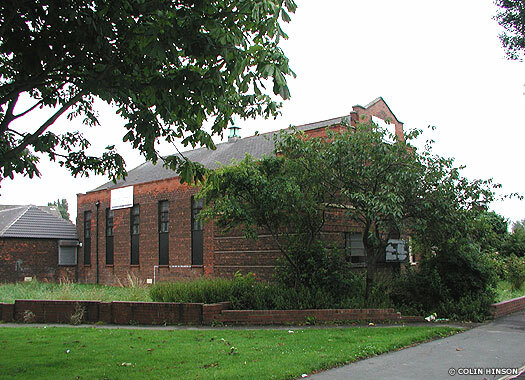 Also on Holderness Road was the Pentecostal Mission in 1908-10, replaced by the Gospel Mission Room in 1910-11, renamed Hull City Mission Room in 1911-20. The Jehovah's Witnesses had halls in 1916-19, 1940-41, 1941-46, and 1958. The Christian Assembly Hall was used in 1926-30. The Spiritualist Temple of Truth was used in 1933-39 and 1947. The Holiness Meeting Room was used in 1936-54. 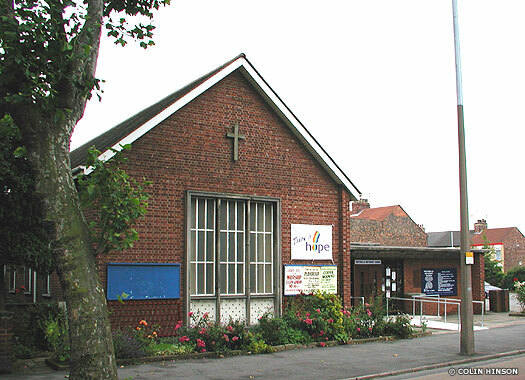 The Salvation Army Holderness Road was used in 1942-54. 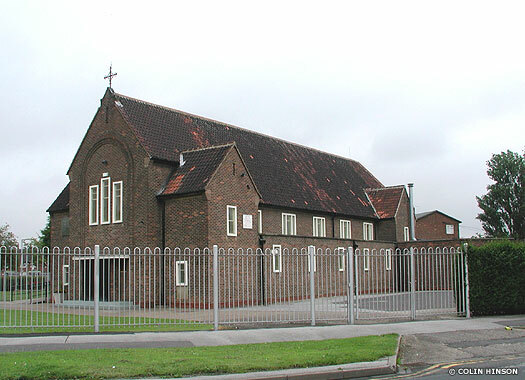 Portobello Methodist Church is a modest red brick building on the southern side of Holderness Road, opposite Hurley Close in the Sutton Ings district of eastern Hull, moving in the direction of the River Humber from Summergang. The church was built by the Primitive Methodists in 1906, with 610 sittings. It was designed by Gelder and Kitchen, and was built at a cost of £4,500. Unlike a great many Primitive Methodist churches, it survived the Methodist union in 1932. 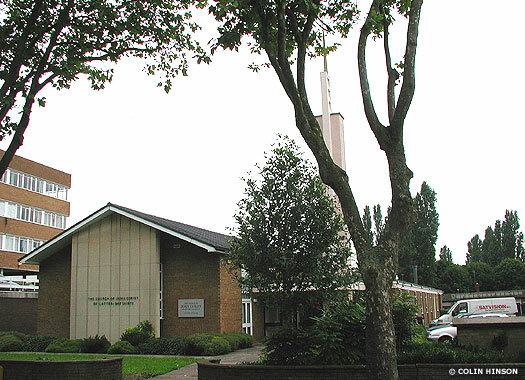 The Church of Jesus Christ of Latter-Day Saints is on the northern side of Holderness Road, just east of Hurley Close in Sutton Ings. After meeting in existing premises, certainly by 1870-1872 when they were noted by the Imperial Gazetteer of England and Wales, the Latter-Day Saints built their own church here in 1934. This building was subsequently replaced by the present well-regarded one in 1956. By 2010 there was another meeting on Springfield Way. 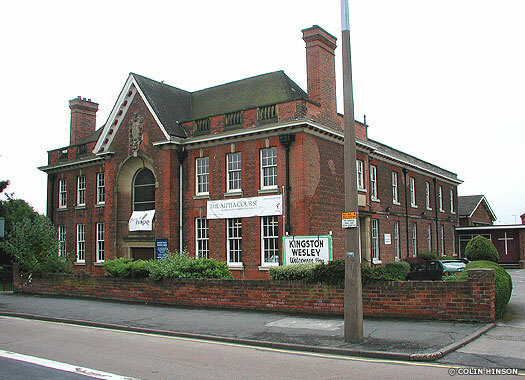 Kingston Wesley Methodist Church & Community Centre is on the southern side of Holderness Road, opposite Ellesmere Avenue in Sutton Ings. 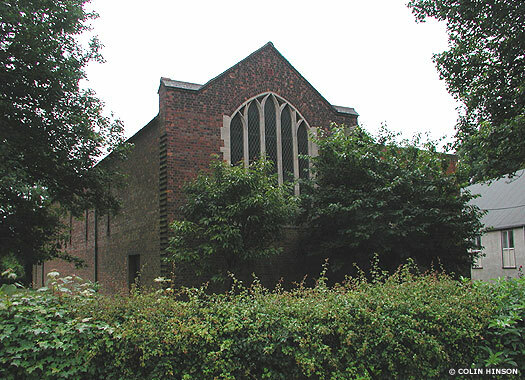 The first Kingston Chapel was in Witham, on the eastern edge of central Hull. Founded in 1841, it was the largest Methodist chapel in the town. It was demolished about 1912 and some of the fittings were moved to the present chapel in Sutton Ings, which was registered in 1913 and renamed Kingston Wesley after the lost chapel. St Michael & All Angels Sutton Ings is at the south-west corner of Holderness Road and Marfleet Lane. A temporary church was dedicated in 1913. The present church was consecrated and gained a district from the parishes of Sutton and Drypool. Also in the district was St Saviour Stoneferry Road. A temporary building was dedicated in 1898 and the permanent church consecrated in 1903. 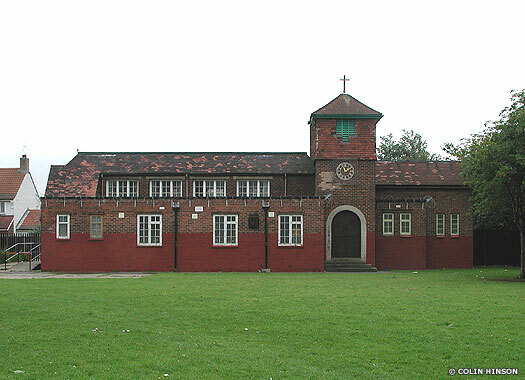 The parish was combined with St Mark in 1957 and the church demolished in 1981. St Bede's Catholic Church Bilton Grange stands inside the junction of Staveley Road and Hopewell Road. The church was registered in 1953. Recusancy seems to have been weak in Hull in the late sixteenth and early seventeenth centuries, apparently confined to a handful of merchant families, but following the opening of St Charles Borromeo in 1829 three more churches were subsequently built in the late nineteenth century, and a further ten in the twentieth century. St George Marfleet stands well back from the eastern side of Marfleet Lane, just below the junction with Staverley Road in Marfleet, part of the Sutton Trust Estate of Carden Avenue. This is on the northern bank of the Humber. The dual-purpose church was dedicated in 1938 as a chapel of ease to Marfleet's parish church of St Giles, one of three such chapels. 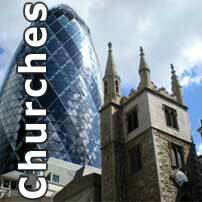 By 2010 the church had been closed down, although Sunday services were being held in an adjoining building. 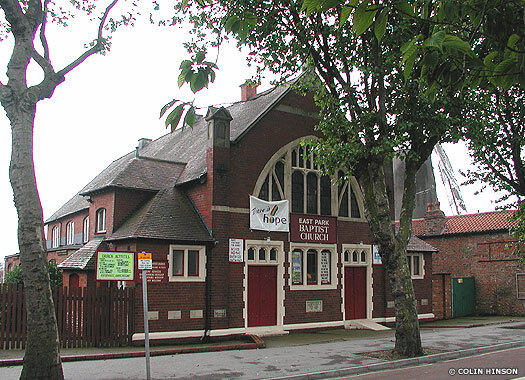 Preston Road Methodist Church stands at the north-east corner of Preston Road and Bilton Grove in Marfleet. A church was registered for this site in 1934, but it seems that may have been a temporary building. The present church was registered in 1937 and offered 300 sittings. It was designed by Gelder and Kitchen, and was built at a cost of £5,500. By 2008 it appeared to have been closed down, although nothing official regarding its fate can be found. Nine photos on this page contributed by Colin Hinson.